WorkSafe NZ acting CEO, Geoffrey Podger, is calling on HR professionals to tackle New Zealand’s health and safety issues. WorkSafe NZ acting CEO, Geoffrey Podger, is calling on HR professionals to take action to improve the country’s dismal health and safety records. New Zealand has a real issue with health and safety. Our workplace death toll is four times that of the UK, and twice that of our trans-Tasman neighbour. As Human Resources professionals, you are inherently aligned to WorkSafe New Zealand’s pervading challenge – to reduce the toll of fatalities and serious injuries in the workplace by at least 25 per cent by 2020. WorkSafe NZ is now established as a Crown entity. As of December last year, it took over the regulatory responsibilities for workplace health and safety formerly held by the Ministry of Business Innovation and Employment, the Department of Labour, and OSH. 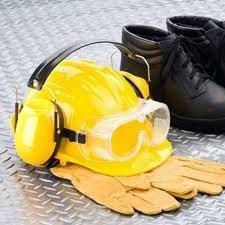 As Acting Chief Executive, I am clear as to our responsibility for workplace health and safety. The regulator, however, cannot fix the problem alone – whether by regulatory changes, increased surveillance, harsher penalties or educative efforts. What will save lives and bring about the improvements we seek is a culture change. Your profession is deeply influential in this culture change. On the ground, in our workplaces, you colour our cultures with your hiring decisions, support for workers, and the health and safety policies and procedures you ensure are set. You are among those, whose influence determines whether health and safety is signed off and relegated to a filing cabinet, or lived, breathed and modelled from the top. Earlier, I said we had a real issue. That was not flamboyance for effect. The size of the problem is that real. In order of magnitude, the change we must evoke is something on a par with the decade long campaign to stamp out our drink driving culture, and to relegate smoking to an anti-social and culturally reviled activity. Each of these campaigns was achieved over many years, and to the tune of millions of dollars. But we don’t have a decade to reach our target – we have only six years. WorkSafe NZ is re-ordering its operations, prioritising the sectors where we know we can make the biggest difference, and reaching out to partner agencies and influencers. From all parties, we need levels of commitment and action that have not been contemplated previously. New legislation at the end of this year will assist enormously, but changing health and safety culture can no longer be ‘someone else’s problem’. It can no longer be acceptable to sit on the sidelines and offer commentary without action. It is achievable, and WorkSafe NZ has taken the lead. We must now move into a new era where ensuring workplace are healthy and safe is what happens all the time – not just when the regulator is knocking at the door. Your involvement in this will make all the difference. Written by acting CEO of Worksafe, Geoffrey Podger.